Foreword to "The Aboriginal People of the Burragorang Valley"
As one of the youngest descendants of the Riley clan of the Burragorang Valley, it is my honour and privilege to write the foreword introducing this incredible book. 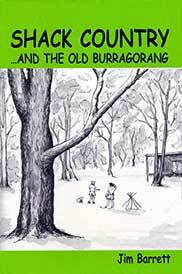 Jim Smith, through his research, correspondence with my relatives and with others from the Valley, has painted a very strikingly beautiful and unique picture of what life in the Burragorang Valley was like. 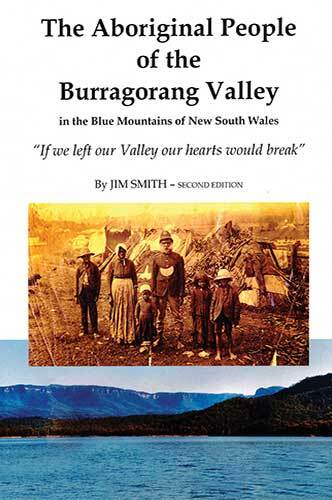 Jim Smith's book, The Aboriginal People of the Burragorang Valley, is available via the Blue Mountain Education & Research Trust website HERE. My family has travelled with Jim to places of great cultural significance; we have visited the sites of the Riley family homes, carving and painting sites and gravesites. He has helped to preserve and pass on the stories of these places so that our culture can stay alive. My experiences of walking on Country in the Valley have been some of the most incredible I have had. Sitting in the bush, with the breeze blowing through the trees overhead, a creek bubbling nearby and the sounds of animals and insects going about their day around me – it's a connection to my ancestors that I cannot feel so strongly anywhere else. The energy of the Valley is so strong, a place where the ancestors walk beside us. It's the most beautiful place on this earth and it's where we feel most at peace. Burragorang Valley is unlike any other place in Australia. Every part of Aboriginal land was touched by invasion, and Gundungurra Country [Gundungurra is the name of the language group of people who populated the Valley] was no different. Some areas experienced violent conflict, or were almost immediately wiped out by sicknesses that native immune systems could not cope with. Some communities were flushed out by sending Aboriginal people to missions and alternate settlements to make way for 'progress' and 'colonisation'. Burragorang was different, and this is what made the Valley so special. The black and white people lived together in relative harmony. The patchwork of my heritage is one of many colours, and I am proud of each and every black and white relative who lived and worked in the Valley. Jim Smith captures the beauty, and also the fiery will and perseverance of the Valley's people, living through some very tough times. Burragorang Valley bred strong and formidable, hard-working people who didn't want to leave the Valley, as my family were forced to do when the Dam was built. On behalf of my family, we would like to thank Jim Smith for the work he has done for us and for our community. His passion for research and conserving history has been such an asset and a privilege for us, as, without his tireless effort, we would surely not have compiled such an extensive family and community history. His work has been invaluable and we are so happy that we have been part of this process in sharing the stories of our ancestors. Our esteemed senior colleague and fellow Trustee, Dr Jim Tulip, former Associate Professor of Literature and Religious Studies at Sydney University introduced Taylor Clarke to the standing room only launch held at Santa Maria Hall in the Lawson Parish last Sunday, 20th November. His edited video address pays further tribute to the massive amount of work that Jim Smith has put in over decades to researching and writing this valuable piece of history not only for the descendants of the People of the Burragorang Valley but for the indigenous people of Australia more widely. In due course we will publish the addresses given by Dr Smith and Taylor Clarke on YouTube also. This is a story of a chance remnant of the Burragorang scene, of the building of a shack in the "backyard" of The Burragorang – on Scott's Main Range. It was erected in 1940, by five priests from the Archdiocese of Sydney, as a "retreat" from their parochial duties.